Signing up late for Medicare can cost you, literally. Late penalties are charged if you enroll past your designated Initial Enrollment Period (IEP). Those fees get tagged onto your monthly premiums for years and in some cases, even as long as you have Medicare. That is hundreds to thousands of your hard-earned dollars wasted. Thank goodness for Special Enrollment Periods (SEP) that allow you to sign up after your IEP without facing late penalties. The trouble is you may think you are eligible for a SEP when you are not. These are the golden windows of opportunity you need to know about. Before we dig deeper into Special Enrollment Periods, you first have to understand how Medicare enrollment periods work. Your 65th birthday is the key. Your IEP begins three months before and ends three months after your birth month, giving you seven months to sign up. For example, if your birthday is June 8, your IEP begins on March 1 and ends on September 30. The good news: If you are actively receiving Social Security benefits when you turn 65 years old, you will be automatically enrolled in Medicare. You do not have to worry about late penalties. The bad news: If you are not receiving Social Security or Railroad Retirement Board (RRB) benefits when you turn 65 years old and you miss signing up during your IEP, you are on the hook for costly late penalties. If you are eligible for Medicare based on a disability, your IEP is not dependent on age. It will rely on your health status. If you have a diagnosis of amyotrophic lateral sclerosis (ALS), you will be automatically enrolled in Medicare the month your disability benefits start. You will not be subjected to late penalties. If you have a diagnosis of end-stage renal disease (ESRD), meaning that you require dialysis or are in need of a kidney transplant, you need to apply for Medicare yourself but you can apply once you are diagnosed and up to three months afterward before you could face late penalties. If you receive Social Security Disability Insurance (SSDI) or RRB benefits for another disability, you are eligible for Medicare on the 25th month of receiving those benefits and you will be automatically enrolled in the program. You are off the hook for late penalties. Wach out: If you decline Medicare coverage after you became eligible, whether or not you have a disability, you will face late penalties if you choose to sign up later. Many people get health care through their employers. This option is subsidized by your job and is often much cheaper than purchasing health insurance on your own. In some cases, you may want to keep your employer-sponsored plans in lieu of Medicare. For example, you may get better service coverage on your current plan. Your premiums and deductibles may cost less. Delaying Medicare enrollment can save you from paying two sets of premiums. The good news: You may be eligible for a SEP if you have an employer-sponsored health plan. The bad news: Not all employer-sponsored health plans qualify for a SEP.
First, you are only eligible for a SEP if your employer hires 20 or more full-time employees or the equivalent. People who work for small mom and pop shops are out of luck. It hardly seems fair. Second, your SEP begins the day you leave your job or your employer-sponsored health coverage, whichever comes first. Let us repeat, whichever comes first. You have eight months to sign up for Medicare from this date. Signing up later than that will trigger late penalties. Watch out: Even if your job hires the qualifying number of employers, you may still be on the hook to sign up for Medicare. Some employers require you to enroll in Medicare as soon as you are eligible or they will decrease or cut your benefits altogether. Be sure to talk to your employer about how they run their health plan so you can make an educated decision. The Consolidated Omnibus Budget Reconciliation Act (COBRA) was enacted in 1985 and allows you to continue coverage on an employer-sponsored health plan even after you leave that job. The employer still offers you a discounted premium rate, even if that rate is higher than it was while you were still working. This allows you to pay less for the same health plan than you would if you were to purchase it as a private plan. The duration of COBRA coverage is limited, usually up to 18 months. In theory, that should be adequate time for you to find other health care coverage, whether that be through another employer or even while waiting for your Medicare benefits to kick in. However, certain qualifying events may allow you to extend that coverage up to 36 months. The good news: COBRA coverage can allow you to extend your employer-sponsored health benefits after you leave your job. The bad news: COBRA coverage does not count as employer-sponsored health coverage in Medicare's eyes. One of the benefits of COBRA coverage is that it allows you to continue health coverage for your spouse and dependents, whereas Medicare only covers your own health care needs. Financially, you may have a major decision on your hands. Should you forego Medicare and take COBRA alone to decrease costs for your family? Or should you pay premiums for both? If you become eligible for Medicare during your COBRA benefit, this affects COBRA coverage for your loved ones. COBRA coverage may be extended for your dependents up to 36 months starting the day you meet Medicare eligibility. Watch out: Remember that rule about "whichever comes first" for the employer-sponsored plan SEP? If you leave your job and continue health benefits with COBRA, your SEP beings the day you leave your job, whether you were laid off or retired, not the day your COBRA benefits end. Late penalties add up and quick. Do not make a mistake that could have you paying for years to come. Example If you applied 3 years after you were eligible, 10% will be added to your monthly premium for 6 years. If you applied 3 years after you were eligible, 30% will be added to your monthly premiums as long as you have Medicare. Americans get their Part A premiums for free if they or their spouse have worked more than 40 quarters (10 years) in Medicare-taxed employment. 10 percent of free is zero! In this way, Part A penalties are less likely to contribute to long-term financial hardships. Part B penalties, however, last as long as you have Medicare and can have a major impact on your wallet. As always, there is an exception. If you became eligible for Medicare based on a disability and were subjected to late penalties before you turned 65 years old, these penalties are forgiven when you turn 65 years old. You are given a clean slate, a rare offering from the federal government. COBRA Continuation Coverage. Centers for Medicare and Medicaid website. https://www.cms.gov/CCIIO/Programs-and-Initiatives/Other-Insurance-Protections/cobra_fact_sheet.html. 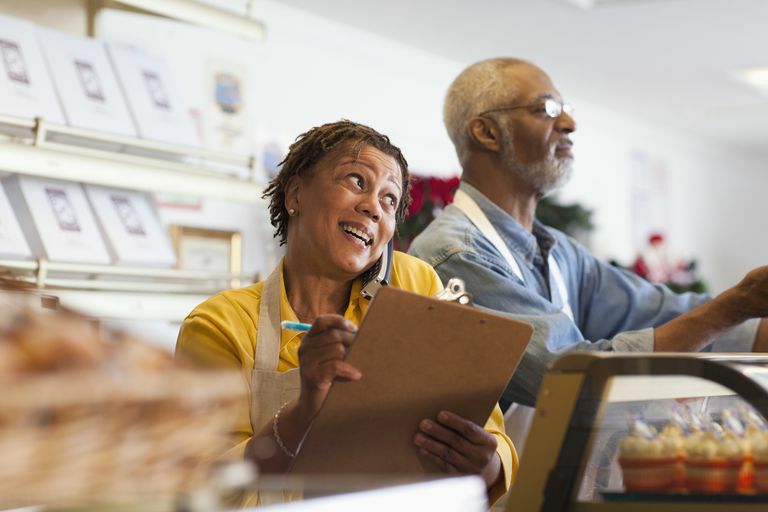 Employer community: Information about Medicare enrollment. Centers for Medicare and Medicaid website. https://www.cms.gov/Outreach-and-Education/Find-Your-Provider-Type/Employers-and-Unions/Employer-community.html. Special circumstances (Special Enrollment Periods). Medicare.gov website. https://www.medicare.gov/sign-up-change-plans/when-can-i-join-a-health-or-drug-plan/special-circumstances/join-plan-special-circumstances.html. Who Pays First: Medicare or Your "Secondary" Insurance?